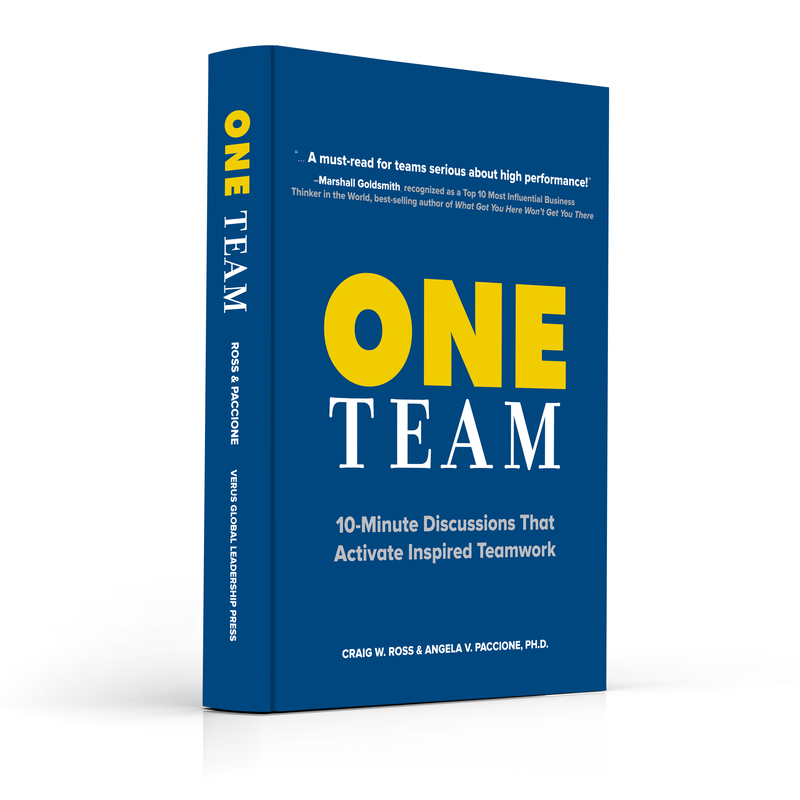 Thanks for your interest in promoting our book, ONE Team: 10-Minute Discussions That Activate Inspired Teamwork. We appreciate your support. Below are ready-to-use promotional tools that have been compiled for your use to help spread the word about ONE Team. Here, you will find author bios, book summaries, sample tweets, and special bonus materials that you can take and share with your friends, fans, followers, and supporters. Thanks again for your valuable support! If you do chose to use the tools below to help support our book, we’d love to hear about it. 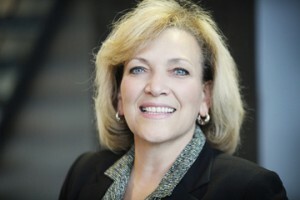 Theresa Letman, our VP of Marketing Sales, is looking forward to hearing how you shared ONE Team with others. THE UGLY TRUTH: Most organizations score horribly in equipping employees to work together and deliver on their collective potential, despite the fact that teamwork is more important in the 21st century than it ever was before. From over 63,000 hours observing leaders and teams in more than 30 companies located in 20 countries, Ross and Paccione identify how even well-intentioned leaders sabotage their own best efforts at developing high-performing teams – and what they must do differently to succeed. THE PROMISE: Regardless of your position, or whether your team operates in person or virtually, during the first 10 minutes of your next meeting, you can start, transform, and accelerate productive teamwork. The proven, sophisticated, and practical method in ONE Team equips you to activate the brilliant potential your team possesses. What will you do with your next 10 minutes? Start – and move the world. 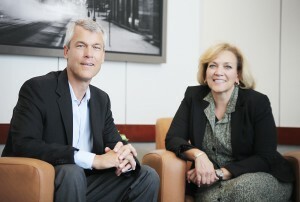 Craig W. Ross and Angela V. Paccione, Ph.D., are, respectively, the CEO and Senior Director of Client Partnerships of Verus Global. Craig co-authored two award-winning business books: Degrees of Strength (2012 – Best Book Award Finalist, USA Book News; Axiom Business Book Awards Silver Medalist) and Stomp the Elephant in the Office (2008 – Best Books Award Finalist, USA Book News). Craig Ross joined Verus Global in 1999, bringing a background in curriculum design and an incredible passion and discipline for effective training and development programs. For over a decade, Craig has partnered with C-Suite executives, leaders, and teams elevating performance within global organizations and Fortune 100 companies. 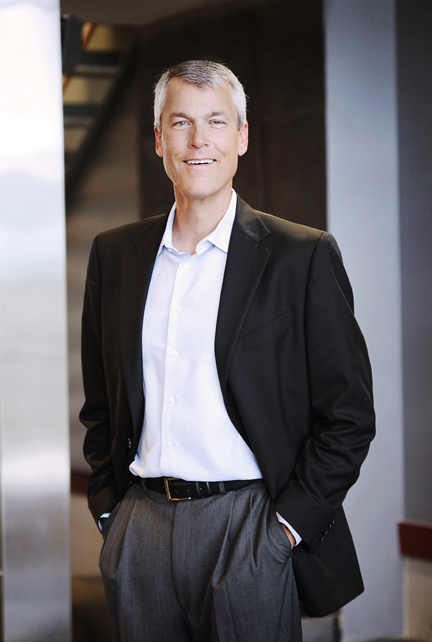 His understanding of current business trends and needs allows Craig to deliver innovative leadership strategies, equipping organizations to activate leaders, teams, and employees to meet their full potential. Throughout each Verus Global process (from executive coaching to keynotes to the flagship Pathways to Leadership® Process), Craig has worked with many leaders and organizations to dramatically improve performance with sustainable breakthroughs. With his high-energy and dynamic approach, Craig assists teams in quickly creating alignment, communication, and trust, so they can better achieve their strategic goals. Craig has co-authored three books, most recently ONE Team with Dr. Angie Paccione. Craig and Verus Global founder, Steve Vannoy co-authored the award-winning books Stomp the Elephant in the Office and Degrees of Strength. The tools in these books equip leaders and teams to be more productive, inspired, and to live their values and potential in every interaction of every day. From Australia to Egypt to China and across the US, Angie inspires leaders at Fortune 200 organizations by unleashing the potential in each of them, providing tools to help them accelerate their business results and create even stronger work teams, families and communities. Since joining Verus Global in 2007, Angie has served top leadership teams and organizations who are motivated to improve their capability and the culture of their workplace. Her energetic approach and library of compelling stories has helped her to build a worldwide network of amazing individuals committed to building people, partnerships and performance in every interaction. Her inspiring facilitation style and desire to serve others has led to her popularity as a keynote and motivational speaker. In addition to her transformational sessions, Angie supports our facilitators in accelerating their ability to serve client-partners even more.